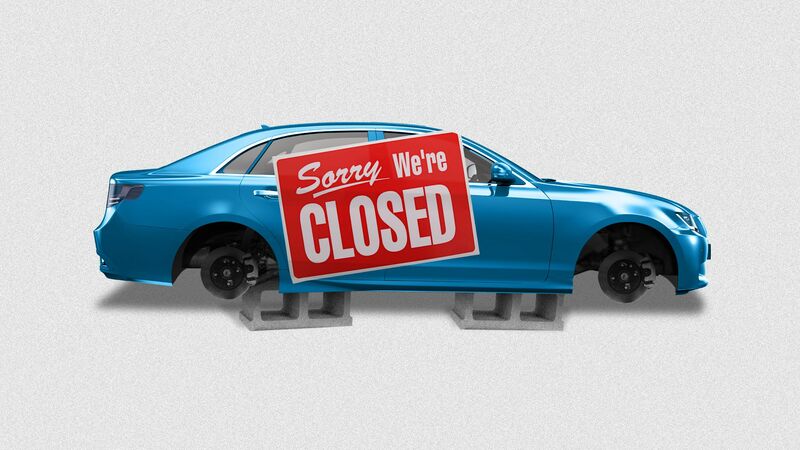 General Motor's plan to shutter several plants and cut thousands of workers is a glimpse into big changes that may loom as major automakers make the slow transition to electric vehicles. The big new federal report on the effects of climate change (the one released on Black Friday) explores how global warming could eventually increase U.S. power costs by tens of billions of dollars annually. Threat level: On power bills specifically, even though buildings and appliances are getting more efficient, higher temperatures will generally come with higher electricity costs (check out the map above). Why? FERC: Via Utility Dive, "Democrats on the Senate Energy and Natural Resources Committee say they will seek to postpone a Tuesday vote on Bernard McNamee's nomination to the Federal Energy Regulatory Commission after the release of a video that shows the nominee criticizing renewable energy and environmental groups." But a spokeswoman for Sen. Lisa Murkowski, the committee chairman, told Axios Monday evening that the committee vote was still scheduled for today. White House: Via Politico, "President Donald Trump on Monday dismissed a grim report on climate change produced by his own government, saying he didn’t believe the report’s prognosis of dire economic fallout." Trump, asked about the report's economic projections, told reporters: "I don’t believe it." Carbon taxes: A bipartisan group of House members will announce a bill today that would "price carbon emissions and return 100% of the net revenue as a rebate to American families," an advisory states. The announced backers are Democrats Ted Deutch, John Delaney, and Charlie Crist, and Republicans Francis Rooney and Brian Fitzpatrick. Reality check: The bill stands zero chance of passage anytime soon and taxing carbon has very little political traction in Congress. But it's part of a long-term effort to change the political calculus. Bloomberg Environment, which broke the news of the bill, notes: "the bill could be a starting point for climate legislation after Democrats assume House control in January." Details: Via Bloomberg's Dean Scott: "[T]he measure would apply a $15-per-metric-ton carbon fee to the U.S. oil, gas, and coal industries, but rebate all of the revenue as a dividend to households to shield them from increased fossil fuel costs related to the carbon fee." Additions of renewable power generating capacity in developing nations have raced ahead of new coal-fired development, according to newly released data from the consultancy Bloomberg NEF as part of its annual Climatescope. Why it matters: The finding is the fruit of falling costs that are making renewables more competitive in developing nations where energy demand is rising. By the numbers: Last year, developing nations added 114 gigawatts of zero-carbon energy capacity (which includes nuclear and hydro), including 94 GW from wind and solar. Newly built coal-fired generation capacity in developing nations, meanwhile, fell 38% to 48 GW, the lowest level since 2006, Bloomberg NEF said. The big picture: "Just a few years ago, some argued that less developed nations could not, or even should not, expand power generation with zero-carbon sources because these were too expensive,” Dario Traum, a senior BNEF analyst, writes in a statement. “Today, these countries are leading the charge when it comes to deployment, investment, policy innovation and cost reductions," Traum adds. "Actual generation from coal-fired plants gained 4 percent in developing countries to 6.4 terawatt-hours." "193 gigawatts of coal are under construction in developing economies, with 86 percent of this capacity planned in China, India, Indonesia and South Africa, the report said, citing Coalswarm data." The International Energy Agency has wide-angle look at why autonomous vehicles (AVs) could eventually drive a big increase in energy demand — and how to prevent that from happening. Why it matters: There's a lot of uncertainty about what the rise of AVs will mean for energy consumption. Computer-enhanced efficiency and ride-sharing could mean, if things break right, vehicle energy needs will be significantly slashed. "Living further outside city centres becomes more attractive and property values adjust accordingly, exacerbating sprawl." "Costs for taxi services fall dramatically, encouraging a shift from public transit to low-occupancy AVs." "Road freight also becomes much cheaper, encouraging more goods shipment." AVs enabling more productive use of travel time instead of driving. The bottom line: Policy will matter here, the commentary states. A lot. "Policy and planning principles that focus on how sharing, electrification, and automation contribute to a multi-modal mobility ecosystem can help get us where we want to go," they write. 153.7%: That's the year-over-year increase in U.S. EV sales in October 2018 compared to October 2017, according to updated sales data compiled by Argonne National Laboratory. Of those cars, 24,514 were fully battery electric vehicles (BEVs) and 9,575 were plug-in hybrids. Reality check: A standing reminder that while sales are growing, they're starting from a very small base relative to the size of the auto market. Cars with a plug were 2.5% of light-duty vehicle sales last month, per Argonne. Details: The October 2018 data shows how Tesla's Model 3 is far outpacing its rivals. "BEV sales included 17,750 Tesla Model 3, 2,075 Chevrolet Bolt EV, 1,350 Tesla Model S, 1,234Nissan Leaf, 1,225 Tesla Model X, 424 BMW i3, 116 Honda Clarity BEV, 100 Fiat 500e, 95 Smart ED, 62 Volkswagen e-Golf, 61 Kia Soul EV, 21 Hyundai Ioniq EV, 5 Jaguar I-Pace, 1 Mercedes B-Class Electric, 0 Ford Focus EV, and 0 Chevrolet Spark."